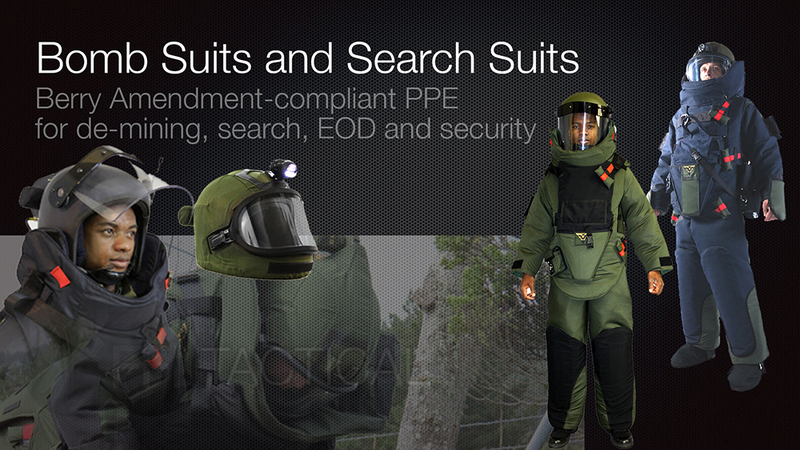 FFI Tactical offers cutting-edge tactical equipment for EOD, bomb squads, law enforcement and UXO clearance. FFI Tactical offer cutting-edge tactical equipment for EOD, bomb squads, law enforcement, security, humanitarian demining and UXO clearance teams. Field Forensics, Inc, FFI Tactical’s parent company, offers threat-chemical detection and identification kits and instruments. Such threat-chemicals include explosives, narcotics, toxins and precursor chemicals. For US Government buyers, much of the equipment on our website is availlable at GSA Advantage. Browse our featured products. Or browse all of our products. 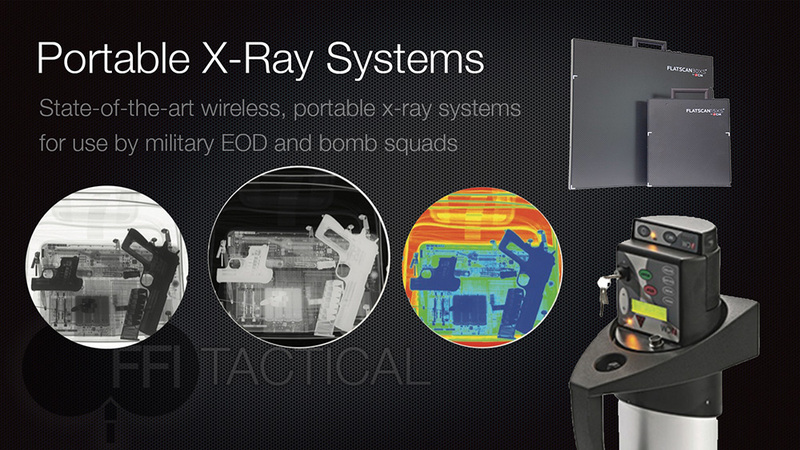 The Flatscan™ Series are wireless or wired, portable x-ray systems for use by military EOD and bomb squads. These systems are rugged, are available in different image sizes, wireless and/or wired communication capability to the laptop of tablet controller. FFI Tactical provides a range of offerings with the CSL C-IED and EOD product line. CSL specializes in the design and manufacture of advanced Counter IED and EOD products. 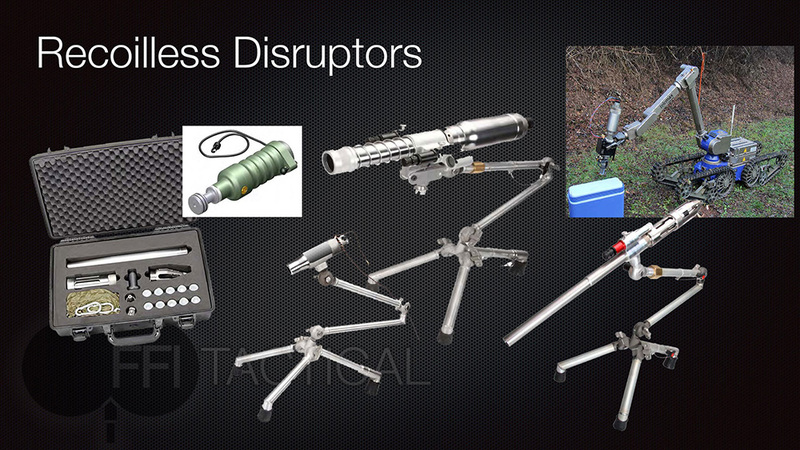 Their product line includes a variety of lightweight, customizable disruptor systems. 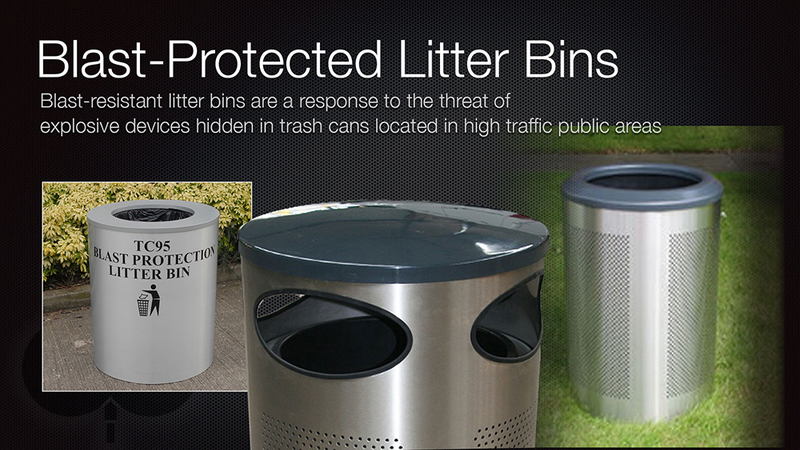 Blast Protected Litter Bin/Trash Can combines keeping the environment clean with protecting the public against terrorist explosives threats. Tested to the latest UK Home Office standards (2011), the HALO 80 Blast-protected Litter binis designed to protect against major blast threats and is suitable for most sensitive locations. Bomb Suits – The HFS Series III is the Holdfast workhorse in the EOD/IEDD suit range; it combines an ergonomic design with the best possible protection. The SERIES III is considered to be light and comfortable, providing a high degree of mobility. FFI Tactical is ready to help with technologies for EOD, C-IED, UXO, security, threat-material identification, and related applications. We participate in several national and international exhibitions each year and have distributors in dozens of countries. Whether you would like to arrange a demo, visit us in St. Petersburg, or discuss your application on the phone, we are anxious to hear from you. We operate all over the world and we are standing by to support. We can be available anytime. All Original Images and Content ©2018 Field Forensics Inc. All Rights Reserved.